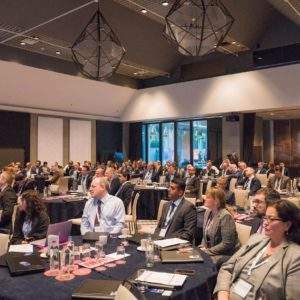 Leasing Life’s conference provides the ideal setting for the industry to come together to discuss its progress in this ever growing digital world; to consider the macroeconomic trends driving its strategic role across Europe and to prepare for future challenges affecting its particular place in the financial world. 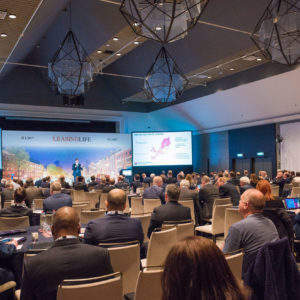 For its 14th edition Leasing Life Conference and Awards 2018 moves to Tallinn, Estonia to bring together asset finance professionals and industry disruptors in an active discussion of the key issues facing the leasing industry. The leading asset finance event of the year, Leasing Life Conference and Awards moves to Tallinn, Estonia in 2018 for its 14th edition. As banks across Europe wrestle with the challenge of deep digitisation of their businesses, two additional forces are gradually re-shaping leasing and asset finance across the region. 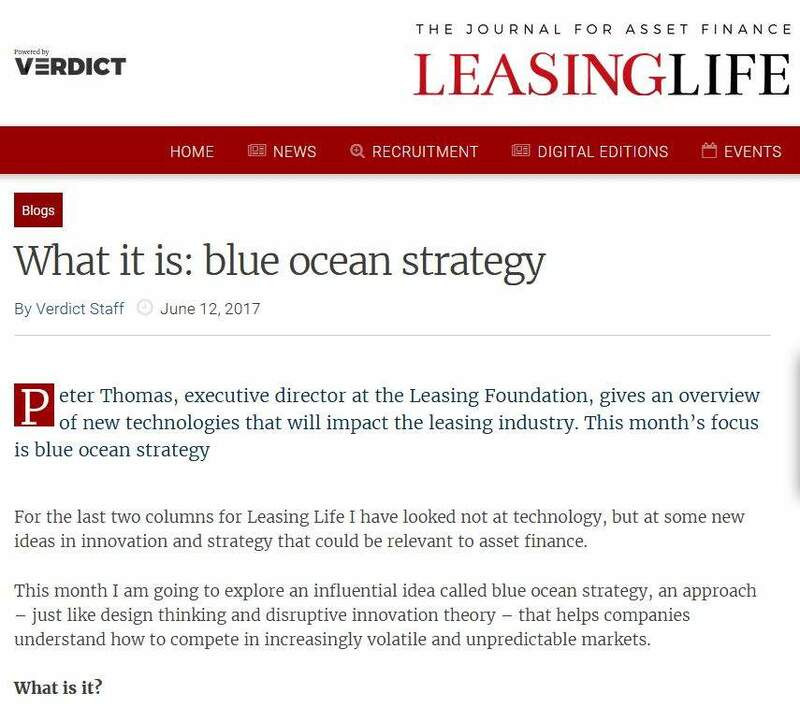 The growing importance of responsibility for asset lifecycles, combined with the asset-light, service-led model pioneered by the sharing economy, have the potential to re-define the conventional role and perceptions of leasing. With far-reaching implications for the distribution, pricing and operations of asset finance businesses. Based on three pillars taking in insights from adjacent markets, the external factors driving transformation, and opportunities for internal optimisation, this year’s Leasing Life Conference explores how Europe’s leasing industry is responding to the value chain opportunity – the operational, and strategic, implications of the paradigm shift, and the role that technology must play in transforming the industry so that it thrives in the digital age. Our conference agenda leverages expertise from across Leasing Life’s research and publishing portfolios. Developed to polarise the vision of a smarter, safer, more efficient future for the leasing industry from new perspectives. The event is an opportunity to share ideas, discover trends and network with peers, while accessing insight to exclusive research and case studies delivered by the industry’s thought leaders. For its 14th edition Leasing Life Conference and Awards 2018 moves to Tallinn, Estonia to bring together asset finance professionals and industry disruptors in an active discussion of the key issues facing the leasing industry. Our venue is the Hilton Tallinn Park. Set in the heart of Estonia’s capital city, Hilton Tallinn Park is located on the eastern side of quiet and recently renovated Politseiaed Park. This Tallinn hotel also provides convenient access to Tallinn Airport within ten minutes’ drive. Take in wonderful views of Tallinn Harbour and the enchanting Old Town from the hotel, and enjoy walking proximity to Medieval Old Town with its shops, restaurants and popular Tallinn attractions, as well as many businesses and corporate offices in the area. We have a special rate for those delegate who would like to book a room at the hotel. Please click here to make the reservation. Reet has a degree in economics and business administration. She started her career as IT expert in Estonian Advertising Film Ltd in the nineties, continuing as CEO of the Estonian Olympic Foundation. Later she worked as a Country Manager for the Canadian publishing company Thomson Corporation. Estonian Leasing Association was founded in 1995. Reet joined the Association as its CEO and has been holding the position for the past 23 years. Today the Association unites all major players in the leasing industry of Estonia, covering nearly 98% of the its market. Reet has published numerous articles introducing Estonian investment climate and leasing industry and is an experience lecturer in Estonia, Russia and EU. Andrew Denton is Alfa’s Chief Executive Officer and leads the company. Since joining the company in 1995, Andrew has been instrumental to the company’s global strategy and success, and joined the Board of Directors in 2003. He was made Chief Operating Officer in 2014, and became CEO in September 2016. Andrew joined Alfa (formally CHP Consulting) as a consultant and earned his first project management appointment in 1998. In 2000, Andrew moved permanently into Sales and Marketing. 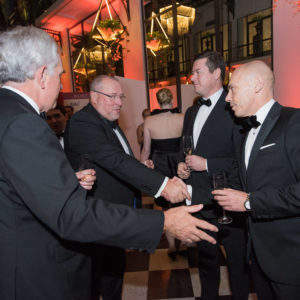 In the subsequent three years he was responsible for a series of key business wins, including Alfa’s first European, Australian and US implementations at GE Capital Key Lease, Commonwealth Bank of Australia and Textron Financial. His many achievements led to his promotion to the board, and since then he has overseen the development of ALFA v5, a fully browser-based version of the ALFA platform written entirely in Java, and brought in many more major new clients. Andrew continues to take the business forward and is a keen advocate of modern methods and approaches, such as agile development and Lean Six Sigma. Andrew is also CEO and joint founder of the Leasing Foundation, an organisation that supports the leasing and asset finance industry through charitable activities, research and development. Carmen’s career started in Bucharest where she helped found one of its first IT companies in 1990. This rapidly became the number one IT company in Romania, and was acquired by IBM. A successful international IBM career followed: she established financing operations in South Africa and Central Europe; she was General Manager of IBM Global Financing Italy; became Vice President IBM Global Financing Northeast Europe, managing more than $6BN of assets; and finally Vice President Enterprise for IBM Global Business Services. Carmen joined 3 Step IT in 2015 to help transform the organisation into a service led financier. Carmen has an M.A. in Cybernetics, Statistics and Informatics from the Academy of Bucharest and an MBA from the OU London. She is a Governor of the Leasing Foundation and a Director of Amcham Finland: a hub that facilitates international business. Brendan is responsible for leading the development and execution of the company’s long term strategy, global company growth, managing overall operations and customer satisfaction. Brendan joined White Clarke Group in 2001 and, under his leadership, the group has grown to become a global force in the Auto Finance and Asset Finance industry. With over 25 years’ experience in the financial services sector, including a number of board level appointments, his special expertise is creating and delivering strategic change initiatives. Before joining the company he was IT director at Bank of Ireland Asset & Motor Finance. In that role he married responsibility for all technology and business process improvement initiatives with strategic consultancy to the consumer finance divisions. Brendan holds a first in Computer Science from Trinity College, plus a post graduate qualification in Object Oriented Software Engineering, in addition to his MBA from Cranfield. Within the General Management Committee, Pascal Layan, Global Head of Business Lines, supervises Equipment & Logistics Solutions (ELS), Technology Solutions (TS) and Bank Leasing Services (BLS) International Business Lines, and the Marketing and Business Report & Analysis functions. From 1990 to 2000, he held several managerial responsibilities within BNP Paribas entities specialising in Vendor Finance (BNP Lease, Crédit Universel), before becoming Sales Director TS France of BNP Paribas Lease Group between 2000 and 2005. Pascal Layan was then appointed as Sales Director of Technology Solutions International Business Lines (IBL). In 2008, he took up responsibility as Managing Director of BNP Paribas Leasing Solutions in Portugal. He was then appointed Head of Marketing & Solutions for the specialised IBLs in 2011 and then, in 2012, he was named Head of the Equipment & Logistics Solutions IBL, Board Member of CNHi Capital Europe and Claas Financial Services, and Chairman of JCB Finance. A Banking and Finance professional with more than 25 years of experience in the equipment finance market around the world, John is a graduate of Bristol University. John started his career with National Westminster Bank. From there he moved to Bank Leumi (UK) Plc where he began to specialize in asset finance. After working with Svenska Finans (Swedish) and ING Lease (Netherlands) John joined Hambros Bank Plc. When Hambros was acquired by Societe Generale in 1998 John continued to manage the UK business of Societe Generale Equipment Finance. He moved to France in 2002 to work in the head office of SGEF, followed by a two years assignment to manage the SGEF business in Sydney, Australia and a 3 year assignment for SGEF in China. John moved back to France in August 2012 to take up a role in the RISK division of Societe Generale supporting the business line of Equipment Finance. He was previously SGEF‘s Head of Industry and Vendor Management since October 2014. Philippe Rozental has an Engineering degree from ENSTA and a Master degree in Mathematics and Computer Sciences from Université Louis Pasteur Strasbourg. Prior to joining Societe Generale, Philippe worked for three major consulting firms on various project assignments. Philippe started his career within the Group in 2005 as Project Management Officer with Societe Generale Securities Services, and then held various management positions within the division. 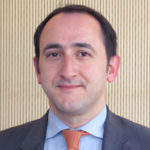 In his last position, he was Head of the Asset Servicing business and Exco member in SGSS France. As global CAO and CIO, Philippe Rozental supervises the Resources department at SGEF HQ. He is in charge of Resources including supervision of IT, Business processes, Organisation, Innovation and Real estate functions across the Business Line. Bas van Asseldonk is Executive Vice President Europe at DLL. Since joining DLL in 2002 as an International Management Trainee, Bas has taken on roles of increasing responsibility in Business, Finance, Strategy and IT, including assignments in the UK and USA. Before he was appointed as EVP Europe in December 2016, Bas steered the future direction of DLL’s IT organization as Chief Information Officer (CIO) and was head Group Strategy & Innovation and advisor to the Board of Directors. Bas has lived at various Anglo-Saxon sites (New York, Philadelphia, Sydney, London) in several functions (program management, collections & recovery, operations and financial management) and developed into a true all-rounder. He has a degree in Business Economics from Tilburg University and earned a Master’s degree in Finance and Control from Maastricht University. After a few years in banking and in the textile industry, Patrick has started his career in leasing in 1989. Patrick has executed different positions in sales and marketing, operations and risk before taking over general management of ING Lease Belgium in 2007. This responsibility has been extended towards Commercial Finance. Since 2012 Patrick is also acting as the Global Head of Leasing within ING Group. ING Lease offers financial leasing solutions on behalf of the ING bank distribution network, vendors and brokers to business customers in Europe. Currently ING Lease holds portfolios in 9 European countries. Per holds degrees from Yale University and KTH Royal Institute of Technology. After 6 years in Singapore working for Fortune 500 tech giant ABB, in 2015 he returned to Sweden to join Emric a disruptive FinTech software provider. At Emric, Per heads up marketing and business development. In this role, he has helped to establish Emric’s position as a strong Nordic player within analytics and lending software and as a first-rate provider of leasing software both in the Nordics and across Europe. In addition to promoting Emric’s innovative software suite, Per is excited about growing Emric’s analytical products suit in the field of machine learning and AI. Emric became part of Tieto Group in 2016. Joanne Davis is a Partner at Locke Lord LLP and Head of the Firm’s Asset, Leasing & Consumer Finance division in the UK. Jo is a leading UK leasing lawyer and handles a range of matters from financial services, consumer credit regulation and compliance to transactional matters, finance litigation and dispute resolution. Jo assists clients on new product innovation, product reviews and product launches in a variety of sales channels and offers general regulatory advisory services to include setting up UK consumer finance or leasing businesses that are new to regulation and financial services in the UK to corporate governance, approved persons and the senior managers’ regime. Patrick Gouin is the CEO of Max&Tite International, a Consultancy firm specialised in strategy, international business development, business optimisation and change management. He is also Senior Advisor at Invigors – Alta Group a consultancy firm specialised in asset finance. He was until recently the Global Head of Strategy & Business Optimization, Member of the Management Committee at Société Générale Equipment Finance, the European Leader in Equipment Finance. Before this he was heading the High Tech International Division since 2008. Patrick Gouin, aged 63, of French, graduated from the Paris based leading business school ESSEC (Ecole Supérieure des Sciences Economiques et Commerciales) and owns a master degree in economics. He started his career in a consultancy firm from 1978 to 1985. He then joined the Alcatel Group as an advisor to the office of the Chairman of Alcatel, and General Manager of CGE-Composants a subsidiary of the Group specialising in the distribution of electronic components and computers. In 1991 he joined Digital Equipment France as Managing Director for the indirect distribution channels. In 1996, he became Head of leasing and remarketing for Digital Equipment Europe and set up the JV Digital Finance with De Lage Landen in 1997, then was named Managing Director of the European High Tech Division in Eindhoven. Between 2003 and 2007, he has been in charge international consultancy projects for leading names of the leasing industry as a partner of The Alta Group. His career combines wide experiences in the high tech industry, in asset finance and in strategic and business optimization consultancy. 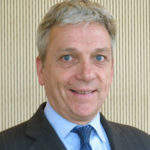 Lindsay is the Chief Executive of IAA-Advisory Limited and has been in the asset finance industry for over 40 years. He has been involved in most product and industry sectors, from high value cross border transactions to auto finance and contract hire. His career to date has spanned several organisations, including Barclays, Lloyds, HBOS and PricewaterhouseCoopers, with roles ranging from transactional to initiating and leading material strategic change, as well as capital markets products. He has worked both in the UK and USA. Prior to taking early retirement in 2009, Lindsay was responsible for leading a wide portfolio of asset finance businesses at HBOS plc, which consisted at its peak of approximately £18bn of funded assets and over 2,250 colleagues. Lindsay is a Fellow of the Chartered Institute of Bankers in Scotland. Steve Taplin joined Alfa in 1997 and has more than 20 years of experience in the asset finance industry. Steve started as a consultant and developer with Alfa before progressing through systems implementation and management roles, moving into a sales role in 2005. He gained the position of Global Sales and Marketing Director in 2010. Along with his sales brief and Alfa management team activities, Steve takes a lead role in the direction of the Alfa Systems product, as well as authoring industry articles, presenting at industry events and working on strategic consultancy engagements. Steve holds a PhD in Physics. After 10 years in civil engineering Kaupo has started his career in leasing in 1994. As CEO Kaupo was buidling up the leasing company from hiring first employees in Estonia. The Latvian and Lithuanian markets where the next countries to establish the leasing companies on organic growth strategy. In 2007 the Baltic CEO responsibility was extended to Nordea Finance bank sales and equipment finance business area responsibility in 7 countries. After merger of Nordea and DNB banks in Baltic’s Kaupo is responsible for Luminor Leasing Baltic operations. Luminor Leasing offers white label captive solutions for manufacturers and importers and leasing solutions on behalf of Luminor Bank distribution Network. 17 years working on commercial and consumer finance software solutions as business expert and project director with some of the biggest financing companies in Europe and North Africa. Mourad has been working for Codix since 2009 as Project Director, managing several commercial finance projects mainly for Tunisie Factoring, Eurofactor Germany, ABC Leasing and Belfius as well as an insurance/collection project. Before that he worked for Linedata Services for 9 years around the credit and leasing software called EKIP, first as a business expert and then as head of the business experts department working for SOFINCO, ING LEASE, KBC LEASE, ATTIJARI WAFASALAF, BNP Personal finance, Credit Agricole leasing and many others. Jevgenijs has worked in the finance industry since 1993, including last 18 years in leasing business. Since 2008 he’s held CEO position at SIA UniCredit Leasing, being responsible for three Baltic countries: Latvia, Lithuania and Estonia. During his leasing career Jevgenijs was involved in front office operations and sales business, also served as Chief Risk Officer and Chief Financial Officer. Currently his main office is located in Riga, Latvia, however he has been working for different international assignments within UniCredit Group, including CRO in UniCredit Leasing Russia during 2010 – 2011. Since 2013 Jevgenijs has been leading Latvian Lessor Association as Chairman. Association is a member of LeasEurope and through its 10 members represents 95% of the leasing market in Latvia. Jevgenijs graduated from Riga Business School (Joint venture between State University of New York at Buffalo, USA, University of Ottawa, Canada and Riga Technical University) with MBA degree. Ben is MD of CLS’ EMEA operation, focused on growth and delivery of the lending and asset finance business. With over 100 clients globally, CLS has a rich and mature business solution for lessors and lenders front to back operation. Ben has over 15 years’ experience in Financial Services Technology, holding business and sales leadership roles at SunGard and FIS prior to CLS. Ian Nelson has spent over 28 years in the leasing and asset finance industry undertaking various roles, previously with UK based bank owned asset finance companies and more latterly with software providers. He began his career working with Capital Bank plc (a wholly owned subsidiary of Bank of Scotland) in a business development role in the North East of England before setting up and managing several asset finance related businesses within the corporate bank of Bank of Scotland. In 2004 Ian joined Lloyds TSB to assist in setting up and growing the asset finance team aligned with the banks mid corporate offering. From 2008 until 2014 Ian worked at RBS / Lombard initially heading up their London Corporate Team and later being Head of Sales for the UK Corporate Business. In 2014 he joined SunGard (now FIS) as Regional Sales Manager EMEA for Ambit Asset Finance, an end to end solution for asset finance companies. Recently he has joined Cloud Lending Solutions in a senior sales role to assist in the growth and development of their asset finance / leasing platform. Andy is IT Manager of Simply Asset Finance, a start-up finance company targeting the UK SME sector. Andy is in charge of building the platforms that will underpin the customer and user experiences, whilst driving value through automation and innovation. With a career in private and public sectors, Andy has held various roles managing and changing technology. His most recent role was with Close Brothers Asset Finance and Leasing as leader of the application services and IT portfolio management for multiple business lines and locations. Ylva is COO and co-founder of Simply Asset Finance, a start-up finance company targeting the UK SME sector. With backing by Cabot Square Capital and funding from several major financial institutions, the business grew to 50+ staff and £100m+ lending in the first 12 months of trading. Ylva has brought together talent with technology to deliver a whole new customer experience in business lending. Ylva is a lawyer by trade with over 15 years’ experience in the Financial Services sector, of which nine years was at De Lage Landen International in various roles across Europe and Asia Pacific, and more recently COO at Close Brothers Asset Finance and Leasing managing operations and IT with staff of over 200 across 11 businesses. 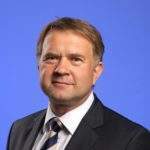 Tõnu Palm has been Chief Economist of Luminor Bank Estonia since October 2017. Previous positions have included Chief Economist at Nordea Bank Estonia. Tõnu joined Nordea in 2008, first in a Senior Sales Manager position, covering FX, interest rate and commodity products; and later as Investment Manager responsible for sales of credit derivatives (CDS), fixed income and structured products. Before joining Nordea, Tõnu worked in the Directorate General Markets of the European Central Bank (Economist); the Bank of Estonia (Head of Monetary Policy Unit) and for the Lombard Risk Group in London (derivatives pricing and VAR models). He has counselled the United Nations and the Gulf Cooperation Council. Our best practice methodologies and specialised knowledge of asset finance mean that we deliver the largest system implementations and most complex business change projects. With an excellent delivery history over our 27 years in the industry, Alfa’s track record is unrivalled. Alfa Systems, our class-leading technology platform, is at the heart of some of the world’s largest asset finance companies. Key to the business case for each implementation is Alfa Systems’ ability to consolidate multiple client systems on a single platform. Alfa Systems supports both retail and corporate business for auto, equipment, wholesale and dealer finance on a multijurisdictional basis, including leases/loans, originations and servicing. 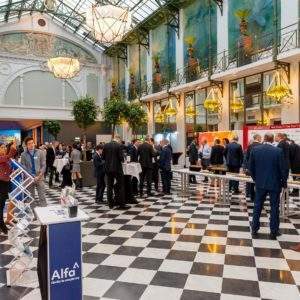 An end-to-end solution with integrated workflow and automated processing using business rules, the opportunities that Alfa Systems presents to asset finance companies are clear and compelling. With over 30 current clients and 26 countries served, Alfa has offices all over Europe, Asia-Pacific and the United States. For more information, visit alfasystems.com. Societe Generale Equipment Finance, part of Societe Generale Group, is a world-renowned partner in equipment finance and in vendor sales financing. We are #1 in Europe*. We take part in the development of our partners – manufacturers and distributors – and clients – SME, professional and corporate customers – by providing them with a range of tailor-made products and financial services. We have a profound industry, product and asset knowledge in 3 markets: Transport, Industrial Equipment and Technology. Through our local presence and the expertise of our 3,500 employees we offer our financing solutions in 39 countries through partnerships, banking networks and direct sales. At the heart of the usage economy, BNP Paribas Leasing Solutions provides businesses with the flexibility they need to remain competitive and grow in a sustainable way. In 2017, BNP Paribas Leasing Solutions financed 320,000 projects for a total volume of 12 billion euros. Its 3,200 employees support its clients and partners’ growth in 18 countries, in Europe but also in China, the United-States and Canada. . Cloud Lending, a Q2 company, leasing platform is for lessors looking to create the ultimate leasing experience. Through our integrated front-to-end platform, lessors can simplify the entire leasing experience, accelerate lease processing and revenues and reduce operational inefficiencies through automation and configurations. Designed for Captive Lessors, Bank Lessors, Independent Lessors, and Vendor Finance. With offices in San Mateo, London, Sydney, and Bangalore, Cloud Lending is empowering Financial Institutions to improve their lending or leasing practice; process more applications in significantly less time with reduced expenses and focus on what matters most – your customers. DLL is a global vendor finance company with more than EUR 30 billion in assets. Founded in 1969 and headquartered in Eindhoven, The Netherlands, DLL provides asset-based financial solutions in the Agriculture, Food, Healthcare, Clean technology, Construction, Transportation, Industrial and Office technology industries. DLL partners with equipment manufacturers, dealers and distributors in more than 30 countries to support their distribution channels and help grow their businesses. DLL combines customer focus with deep industry knowledge to deliver sustainable solutions for the complete asset life cycle, including commercial finance, retail finance and used equipment finance. DLL is a wholly owned subsidiary of Rabobank Group. To learn more about DLL, visit www.dllgroup.com. White Clarke Group is a leader in software solutions and consultancy to the automotive finance sector for Retail, Fleet and Wholesale. It is a global organization employing over 600 professionals with offices in the USA, UK, Canada, Australia, Austria, Germany, India and China. White Clarke Group’s award-winning CALMS software is a full lifecycle enterprise solution that provides a flexible workflow approach, which automates the entire business process from origination through to contract and portfolio management. CODIX is a market leading provider of iMX, a Commercial and Personal Finance software solution, including implementation and maintenance services through its subsidiaries on 5 continents. iMX is capable to handle large volumes in real-time, based on a flexible business rules event-driven engine. Asseco Data Systems S.A. is the main producer and developer of software for leasing sector on Polish market. It provides IT infrastructure for public administration, offers data centres, mass communication and human capital management systems. The company specializes also in security as the largest Polish provider of trust services. Nearly 1000 experts in diverse competencies and locations. A credible partner in creation, development and maintenance of IT systems delivered both to business and public administration entities with excellent knowledge of clients’ needs and potential of being part of one of the biggest IT companies in Europe – Asseco Group. Liscor, part of the Lutech Group, is the leading solution provider of the FORWARD©3000 Hi-flex finance software for Leasing, Loans and NPL Management. Liscor’s Hi-Flex approach helps financial companies reach a faster time-to-market, flexibly manage process re-engineering, streamline system integration and rationalize costs. The FORWARD©3000 full web 2.0 responsive platform offers an unprecedented user experience, a full Front-to-Back functional coverage, an integrated BPM engine, and a variety of real-time collaboration features that improve productivity across the organization. The international business model of FORWARD©3000 comprises multi-country and multi-lingual capabilities while the future-proof technology enables flexible integration with existing components and plug-ins to quickly adapt in a rapidly changing business environment. For further information please go to www.liscor.com. Tieto is the leading Nordic software and services company, with over 14,000 experts in close to 20 countries. We aim to be customers’ first choice for business renewal by combining our software and services capabilities with a strong drive for co-innovation and ecosystems. Tieto captures the significant opportunities of the data-driven world and turns them into lifelong value for people, business and society. We are an international equipment leasing company operating in 4 countries. As a wholly owned subsidiary of ABN AMRO, we provide lease contracts in the Netherlands, Belgium, Germany and the United Kingdom. We lease a wide variety of business assets: from sea containers to commercial vehicles and from plant and equipment to vehicle fleets. We focus fully on financing the core assets at the heart of your business. We believe Asset Based Lending is the best way to finance business assets. The key feature of our service is that we take a partnership approach. We work on the solution that suits you best. Our aim is to become a long-term partner rather than merely funding a single transaction. We take the time to understand your business and plans for the future and deliver solutions which enable you to achieve your ambitions. Close Brothers Asset Finance is part of Close brothers Group plc; a leading UK merchant banking group providing lending, deposit taking, wealth management services, and securities trading. Close Brothers Asset Finance offers a range of flexible funding solutions to UK SMEs and is a sustainable form of funding. Asset Finance enables a business to purchase or refinance capital equipment such as commercial vehicles, print machinery or construction and plant, spreading the cost over an agreed period of time. NETSOL Technologies (NASDAQ:NTWK) is a worldwide provider of IT solutions, serving the asset finance and leasing industry. With local support and delivery centres in 8 cities around the world, our team of 1500+ experts ensures that our clients benefit from the deep industry insight we have developed over the course of 4 decades. Having rapidly expanded to several locations across the globe and providing superior technology solutions to the biggest names in the leasing and finance industry, NETSOL has an ethos of excellence and innovation through constantly devoting time and resources to a well-rounded team of skilled and experienced professionals. 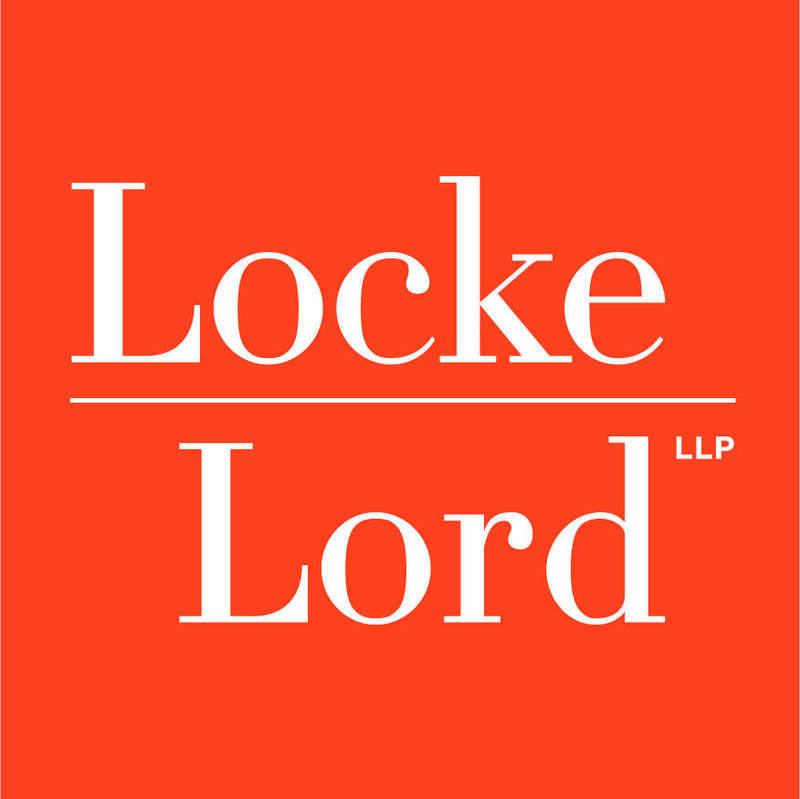 Locke Lord is a full-service law firm with global reach. Locke Lord has 20 offices with services which are specifically designed to meet all of its diverse clients’ needs around the world and is a worldwide leader in all of the markets in which it operates. Locke Lord’s Asset, Leasing and Consumer Finance provides support to the industry, which includes legal advice and compliance support on financial services regulation (including consumer credit and insurance regulation, financial services and markets, FCA and PRA requirements and handbook implementation as well as advising clients generally on asset and motor finance, retail and commercial finance matters, conduct, governance and controls and new product launches. The team are well versed at providing advice on compliance with the Consumer Credit Sourcebook (CONC, complaints management (FOS and DISP rules compliance), and other areas of the FCA Handbook, related legislation and regulation and codes of practice. The award-winning team has received numerous accolades and honours solidifying its widespread reputation and given well-deserved recognition to the team’s status as a leading industry player in its field. In the Chambers UK 2018 rankings, Locke Lord’s UK Consumer Finance practice was recognised for having “an expert, niche team in asset finance. VIP Apps Consulting provides management consulting, business process management and technology consultancy services for the Leasing and Finance industry. Our consultants leverage their extensive experience in leasing organisations and Business and Technology consulting to successfully deliver business transformation projects, including business process re-engineering and leasing system implementations. Using our unique AMOBI methodology, utilising the best of Six Sigma/Lean and Customer Journey mapping concepts, we’ll assess how your strategy, people, processes and systems are all working together to identify and implement tangible improvements towards Operational Excellence and IT Simplification business objectives. VIP will help you optimise your back office and embrace disruptive technologies. Great American Lease & Loan Insurance Services is a recognised leader in providing insurance products to commercial equipment lessors, lenders and manufacturers, and vehicle finance markets in Europe. Our bespoke insurance solutions are designed to provide portfolio protection, deliver an additional revenue source to your business and enhance your product range. Our successful pan-European programmes deliver consistent and flexible multi-lingual insurance solutions across multiple territories. Lease & Loan Insurance Services has been providing specialised insurance programmes to major financial institutions in Europe for over a quarter of a century. 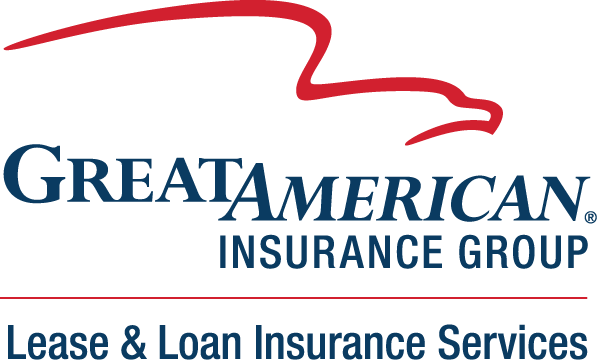 We are part of the Great American Insurance Group whose roots go back to 1872 with the founding of its flagship Great American Insurance Company which has received an “A” (Excellent) rating or higher from A.M. Best Company for over 100 years. Estonian Leasing Association unites companies that are banks or bank owned credit institutions. There are 9 members in the Association and it unites the majority of the companies on the leasing market covering approximately 98% of the total volume. Credit- and financing institutions have always played an important role of Estonian market economy. Rapid growth of leasing market can be explained by comparatively liberal tax and legal conditions to practice leasing in Estonia. The active operation of leasing companies in equipment leasing has also brought out the need for self-improvement and communication with other associations and markets, here the Association has been a great help as an intermediary. In Estonia the operations of leasing companies are greatly influenced by the banks. Despite being independent legal corporate bodies most of the leasing companies are subsidiaries financed by the parent banks. New leasing business carried out in 2017 by members of our Association was 1.2 billion EUR, growth of 10% compared to 2016. Lease portfolio (residuals) in 2017 was in total 2.5 billion EUR, with a growth of 10% compared to 2016. Factoring is a financial product offered by most of our members. In 2017 total factoring turnover was 2.9 billion EUR. Residuals reached to 378 million EUR, growing by 17%. According to the valuation of the Association and World Leasing Yearbook the annual leasing volume of Estonia, as a percentage of GDP has been world highest the last fifteen years (source: WLY as of 4,97% in 2016). Estonian Leasing Association is a member of Leaseurope. As with all of our events, Leasing Life 2018 is CPD certified, allowing you to earn up to 7 points towards your professional development and helping you and your organisation to keep skills and knowledge up to date. Following on from the success of 2017’s event, Leasing Life will again be holding its Awards in 2018 to celebrate the very best in the industry. This year companies can nominate in 12 categories, full details of which can be found on the next tab or in the downloadable Awards Information Pack below. Please send all your submissions to LLawards18@compelo.com by deadline 5pm GMT on Friday 7th September. A good intermediary serves its clients and its funder panel, placing deals for the right reasons to serve its customers. The ideal model shows a business that cares about the post transaction aspects and has a strong quality ethic to its business dealings. In the current challenging markets it demonstrates an ability to grow, develop customer offerings that are relevant and has a risk and performance culture that is respected internally as well as externally. Sustainable year on year business growth (not scale, but progression) measured over 5 years. Endorsement from the intermediary’s key funding panel members, speaking to risk quality, after-sales service and customer care. Evidence of lender endorsements via example transactions, showing where the deals have gone, favouring real service over simple placement. Examples of “added value” and how the intermediary turns transactions and relationships into viable business where others could not. How the intermediary builds quality and sustainable relationships, with vendors and manufacturers, or on a regional focus. The stand-out firms are those that lead thinking, add value back to the industry and challenge the status quo while offering an exemplary service on top of their legal knowledge. Asset finance must be a core discipline and demand a real focus from the firm. Team focus – is it a specialised asset finance legal team? Can it clearly bring in other disciplines where needed? People development – does the legal provider demonstrate a development culture and do they bring on (and attract) strong new talent. Thought Development – is the firm proactive in challenging and informing the industry. 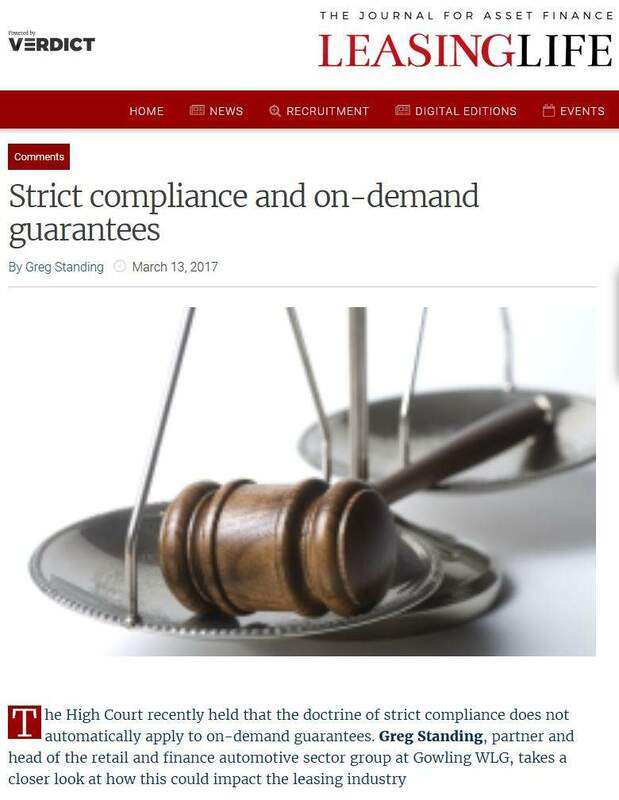 The intermediary’s client satisfaction and market reputation. Growth of profile and capability; has the firm built on its successes and made inroads into developing its service reach and client capability. This award recognises European asset finance lenders that that directly engage in supporting the SME market, beyond volume picked up via wholesale/intermediary type operations. This award recognises UK asset finance lenders that that directly engage in supporting the SME market, beyond volume picked up via wholesale/intermediary type operations. This award recognises an asset finance lessor that has worked in conjunction with a manufacturer to provide tailored asset finance at the point of sale. The essence of success is building strong and successful partnerships that add clear value to both sides: this is not just about the provision of funding but also about creating a strong service and partnership business culture that withstands the ebbs and flows of the external environment. Growth over time and the depth of their commitment to the business sector. To qualify for this award, nominees must have businesses across at least two of Europe’s major five economies, and write at least €500m worth of new business annually. The European lessor of the year should be able to explain how it is driving change in the industry with market initiatives, product design, or value-add services. Evidencing should include deal volumes, with some ‘marquee’ deal example, with a few lines explaining size and complexity. This award is open to nominations for the captive finance houses of any commercial asset or vehicle producer. This award recognises real focus on the captive’s efforts in supporting the parent and developing solutions that are relevant. Support through all parts of the economic cycle is a critical feature and the lessor should be able to demonstrate how they use their skills to improve the products and services to assist sales and create additional value. Evidence of the strength of the Parent/Lessor relationship showing how they work “hand in glove” to add additional value to the customer and additional value to their group. To qualify for this award, lessors must be writing business in the €20m+ ticket size. In this sector, asset knowledge, risk appreciation, skilled structuring and commitment to the sector are all important features. This award is meant to recognise a policy, product or leasing related site or application that pushes the envelope on how commercial lessors relate to their customers. Not designed simply for ‘e-signatures’ or a back-room platform change, this award must impress the judges with its technological expertise and its novelty. The judges must understand, through a convincing narrative, about the genesis of the product or site, and about how it is new or differentiates itself from previous digital innovations. Evidence must be provided on how the innovation improves the customer experience, or allows an improvement on costs, speed of transaction or response and communication. Evidence of commercial advantage through the innovation is encouraged. 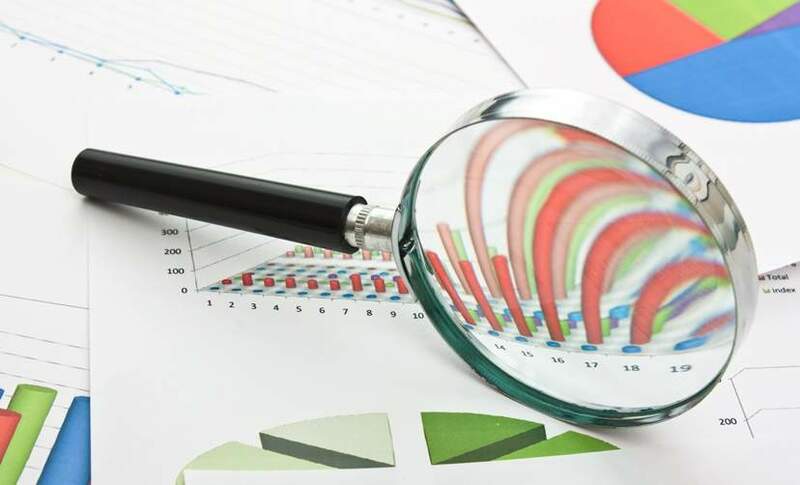 Potential developments as well as implemented innovations qualify; eg regarding data quality, the use of block chain/distributed ledger technology in the areas of document and asset verification could qualify, as much as a client facing site or direct platform innovation, or an efficiency in the speed of service. This award is designed to recognise non-CSR based, external sustainability initiatives on the leasing products or services that the lessor might offer. The award is not designed to recognise a handful of one off transactions, but a clearly demonstrated business commitment to the principles of sustainability. Can entail deals for environmentally friendly assets such as wind farms or solar panels. Leasing products that entail lifecycle management, recycling or green products. Metrics are required on size, volume, or complexity of deals to get a picture of their quality and exceptional status. The young professional of the year category will recognise someone under 40 years of age who in 2017 has demonstrated the depth of their talent and the breadth of their expertise in the leasing and asset finance industry. The winner does not need to have risen to a senior position, but will be someone who peers agree has had a positive impact on the leasing community, influencing not just the success of their company but also the wider industry, and is judged by the Leasing Life editorial team. The following awards are presented to individuals and as such these will be awarded by the judging panel without prior nomination. This award will be given to an individual who is considered to have done more than any other to promote, develop and enhance the reputation, economic role and social status of the leasing industry in 2018. This prestigious award goes to an individual who has helped to build and to shape the international leasing industry during the course of their career. Their contribution will have driven new developments across the industry. They will have successfully steered companies and mentored colleagues through challenges, and taken strategic leadership within their organization and the leasing community as a whole. They will be a top influencer among their leasing peers, and with the wider business community. The Lifetime Achievement award recognizes talent, tenacity, experience and commitment. If you are interested in speaking at the upcoming Leasing Life Conference, please contact Nadia Rozario to discuss opportunities.